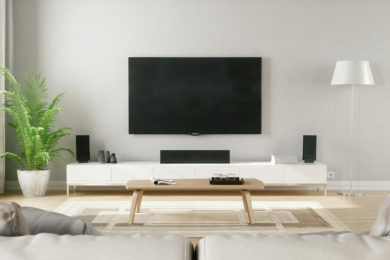 We can enhance the way you enjoy music or television by installing a high-quality, customized audio and visual system in your home or office. We can connect one room or create a home theater. We can also bring sound throughout your whole house or business. Use a central keypad, or an app and your iPhone, to control what you’re listening to both inside and out. These systems are perfect for residential use as well as in restaurants, bars, and fitness centers.